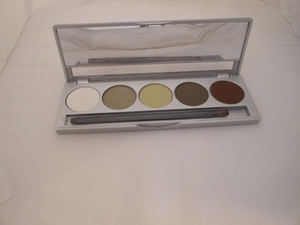 Mineral Eyeshadow Kit in Amazon Rainforest shades -- includes a white, a soft celery, wet earth tone and shades of tree leaves. Gorgeous combination that is naturally appealing on all eye colors. Long wearing colors glide on smoothly and do not crease.